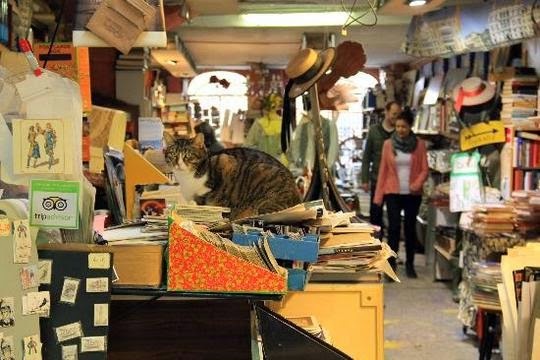 Do you love second-hand bookstores and cats? 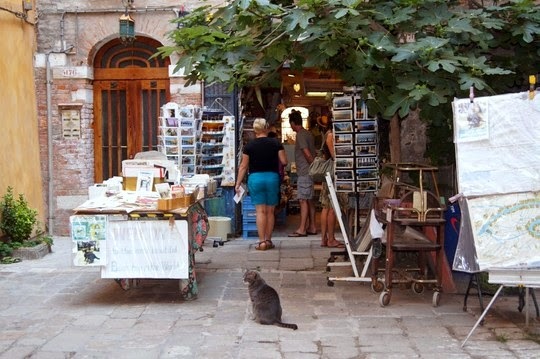 In that case, you have to visit the Acqua Alta Libreria in Venice, Italy. It's one of the most curious in the entire world. 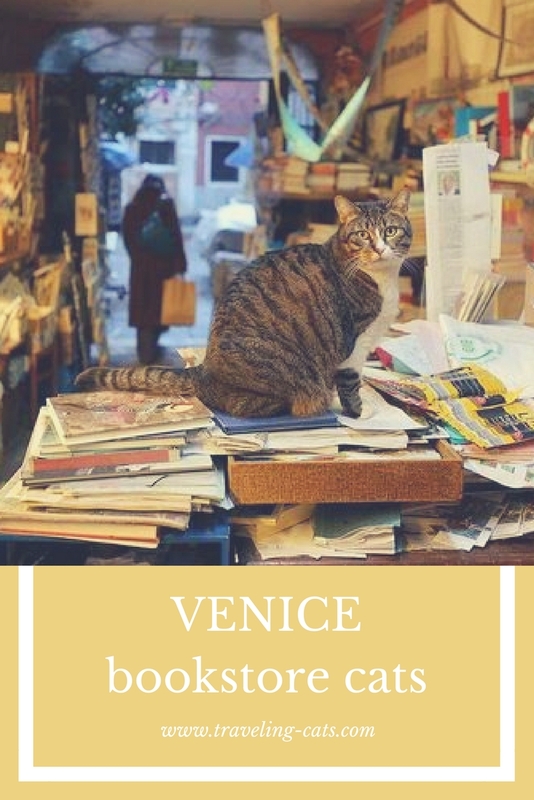 This bookstore has several rambling rooms containing gondolas and tubs filled with books. These gondolas protect the books against Venice's famous high tide which often floods the Acqua Alta Libreria (which means Library of High Water, by the way). 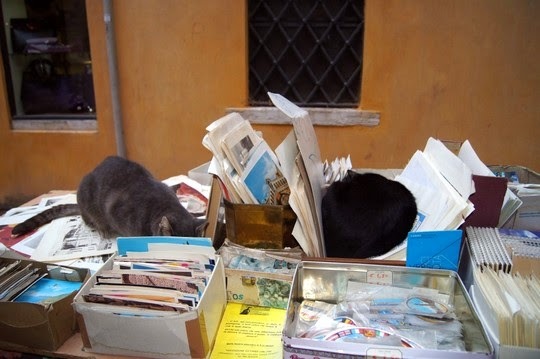 Several resident cats sleep on top of stacks of books and pose for pictures. 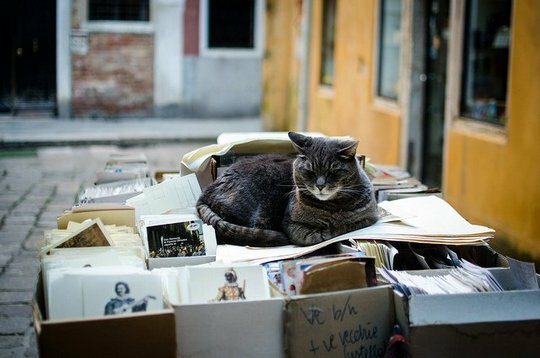 Well read kitty. Have a super Saturday. Vieux sage érudit méditant ... sur le réchauffement climatique, la montée des eaux à Venise ou bien... sur ... le menu de son prochain repas ! 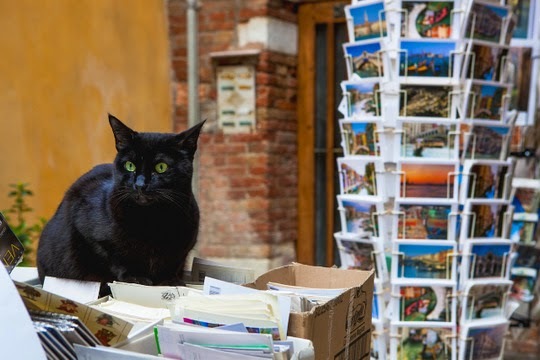 what a great photo, adorable kitty cat. Human staff is always good to have a good nap! Very beautiful and moving picture! 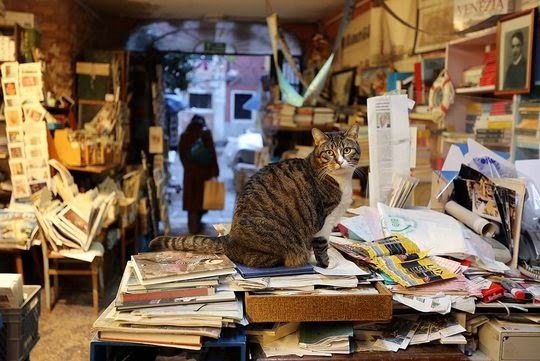 looks like a bookstore kitty! That's an interesting napping spot.